We’ve all lamented that there aren’t enough hours in the day or laughed at memes that tell us the road to productivity is paved with cups of strong coffee. (They’re funny because they’re true.) But researchers contend that completing work on time—and well—doesn’t have to be a constant race against the clock. Add these tried and true action items to your to-do list for a more successful day—caffeine drip optional. Most people require between seven and eight hours of sleep per night for optimal mind and body function. Anything less, scientists say, and cognitive skills become impaired. Forget the multitasking myth: Several studies have shown that attempting too many activities at once causes loss of focus and productivity. Having trouble resisting the temptation to check your social media feed for the hundredth time? Certain browsers offer add-ons that will limit the time you spend on distracting websites. There are also many free or low-cost downloadable programs that allow you to designate times to block certain pages completely. Can’t figure out where the time goes? One expert suggests taking a week to plot out your daily activities—but honesty is key. Gym visits, phone calls and lunch dates add up. No one needs to know how many hours you spend mindlessly binge-watching your favorite show, but being aware of your habits can help you keep perspective and make more intelligent decisions. Overwhelmed by your list of to-dos? Some experts suggest breaking it down into manageable categories, such as one thing I MUST get done today, two things I SHOULD get done today and three things I would LIKE to get done today. Once you’ve made your journal and prioritized daily tasks, it’s important to set personal boundaries and not extend past what is realistic, stresses one time-management consultant. Knowing what you have time to do is key, but what’s more essential is declining anything that falls outside that scope. This strategy helps you focus on your goals and only take on those things that are most important. No, not the pasta sauce. The idea behind the pop-psychology technique is simple: Set a timer and work for 25 minutes straight, without any interruptions or distractions, then take a five-minute break. After four cycles, take a longer, 15 to 20-minute break. Repeat until your task is finished. By giving yourself built-in break times, this tactic helps keep you on task and focused. 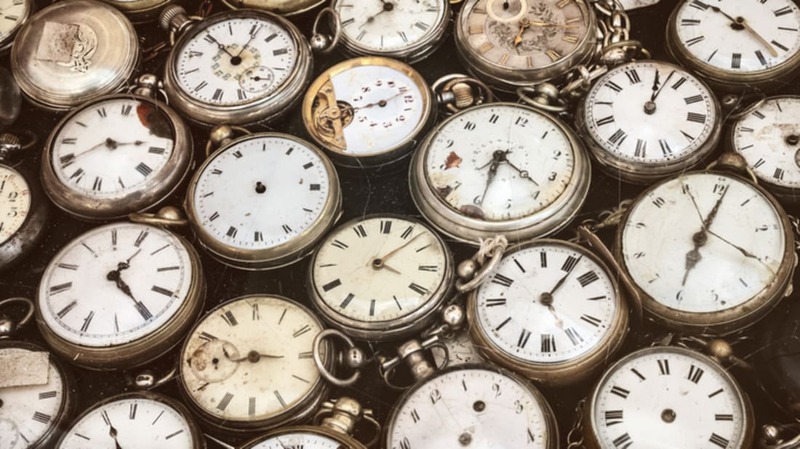 Similar to “pomodoro,” another researcher suggests mapping out how much time you will devote to certain activities or projects. For instance, you could block out one hour each morning to read your favorite blogs or answer emails. Once you’ve settled on the aforementioned time blocks, stick to your schedule—even if what you have done isn’t perfect. A New York-based researcher warns that excessive attention to detail is a form of procrastination and can ultimately be counter-productive. To strike the ever-important work-life balance, one productivity expert holds himself accountable to his daily end time by scheduling activities immediately after work. (Use this trick in the morning if you’re one of those who would rather press the snooze button a half-dozen times.) This can be as simple as scheduling a phone call or planning a gym date with a friend, but the important part is knowing that not sticking to your own schedule will end up being an inconvenience to someone else.